Since 2015, Ateliers deMonaco is among the happy few very meticulous watchmaking houses to have earned the Geneva seal. To receive this recognition, each watch component has to be made with the utmost care and be finely decorated. Moreover, each movement must be assembled, adjusted and encased in the brand’s manufacture in Geneva. This is a controlled label, guaranteed by the state of Geneva and a beacon of exceptional quality ensuring that the purchased product is both flawless and authentic. This year, two new prestigious models join this prestigious collection and further express the brand’s attachment to watchmaking tradition – making timepieces that are not only a mere measurement instrument, but a true work of art. 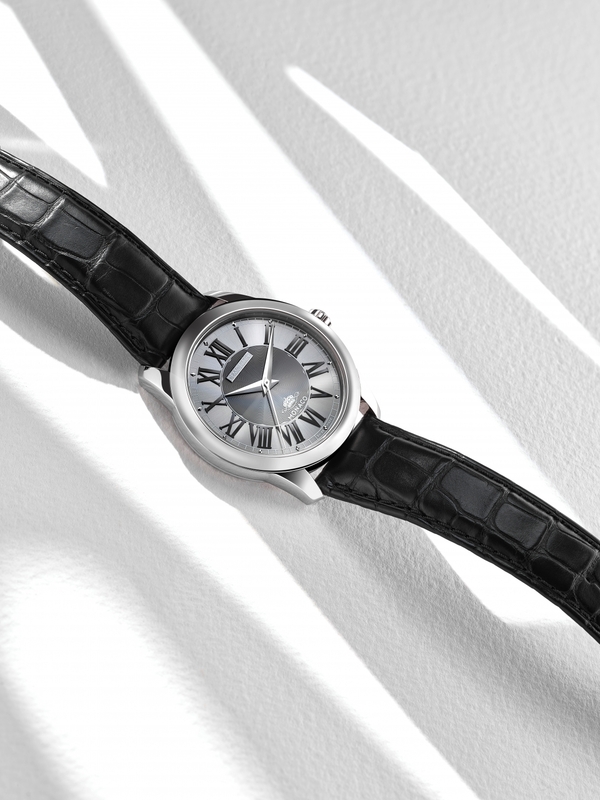 Limited to 18 pieces each, the watches are offered in an 18K rose or white gold case. The Monaco prince’s palace logo has been placed at 6 o’clock to pay homage to the brand’s heritage and hand-applied roman indexes have been added to enhance its elegance. The watches are designed to achieve a luxurious aesthetic appeal on both sides. Thanks to its see-through case-back, the wearer can admire the hand decorations on the movement such as chamfered, drawn flanks, drafted marks and mirror polish on the steel parts. For the bridges: chamfered, drawn flanks, circular graining and Côte de Genève decorations. This limited-edition collection is presented with a black and a brown hand-stitched alligator leather strap with either an 18K white or rose gold tongue buckle. In addition to the Poinçon de Genève certification, these new models include the patented Ateliers deMonaco “Freebeat” adjustment system. In a conventional regulation system, pins on both side of the hairspring are used to regulate how much it can wind and unwind, regulating the speed of the balance wheel. By allowing the hairspring to bounce against these pins, in combination with gravity forces, the unfortunate side effect of these collisions is that it interferes with the precision of the movement itself. The “Freebeat” regulation system controls the hairspring’s length with an adjustable crémaillère (straight bar with teeth on one edge, allowing it to be fixed at different lengths) obsoleting the need for pins and avoiding any interference. To bring power to these timepieces, the watchmakers of Ateliers deMonaco have equipped them with the in-house and patented manual dMc-708 calibre, featuring a 38-hour power reserve and ruling the central hour, minute and second hands. The ultra-thin characteristics of this calibre enabled the brand to encase it within a delicate 9.2mm high case.